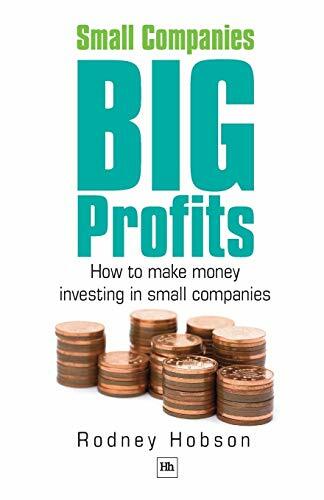 [PDF] Small Companies, Big Profits: How to make money investing in small companies | Free eBooks Download - EBOOKEE! Description: Small is beautiful - if you have an eye for an opportunity. While most big fund managers and private investors seek the apparent safety of the largest stocks, the best investment ideas can be found among nearly 2,000 smaller companies whose shares are quoted on the London Stock Exchange. This guide opens up a whole new world to investors, a world of solid companies that have found a profitable niche, ambitious start-ups with enormous growth potential and attractive takeover targets. However, the risks match the rewards and the unwary investors need to learn how to spot the pitfalls and which companies are small because they do not deserve to grow. The book is packed full of case studies demonstrating the successes, failures and potential of small companies. Each succinctly presents the lessons to be learnt from their experience. All investors looking to widen their portfolios will welcome this highly informative book covering an area of the stock market that is too often neglected by pundits, investors and the press. 2017-10-20[PDF] The Big Business of Celebrity Content: How to Make Money Following Your Favorite Celebrities! No comments for "[PDF] Small Companies, Big Profits: How to make money investing in small companies".